Please contact me if you are interested in any "bunches" of threads. I can arrange delivery/pickup (in the ACT) or post. All prices DO NOT include postage, I will en-devour to have threads delivered to you post/delivery free where possible. All threads where purchased prior 1996. Please pass this information on to any one you think may be interested. I will continue to add more threads as I get a chance to photograph them and add to the blog. SOLD I will continue to add more threads as I get a chance to photograph them and add to the blog. 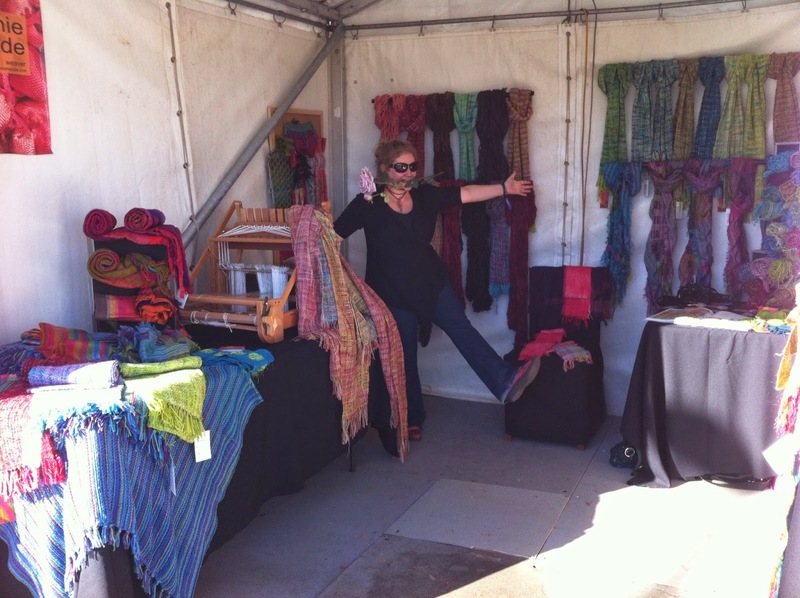 This Easter weekend Mel has a shop at the national folk festival Canberra. 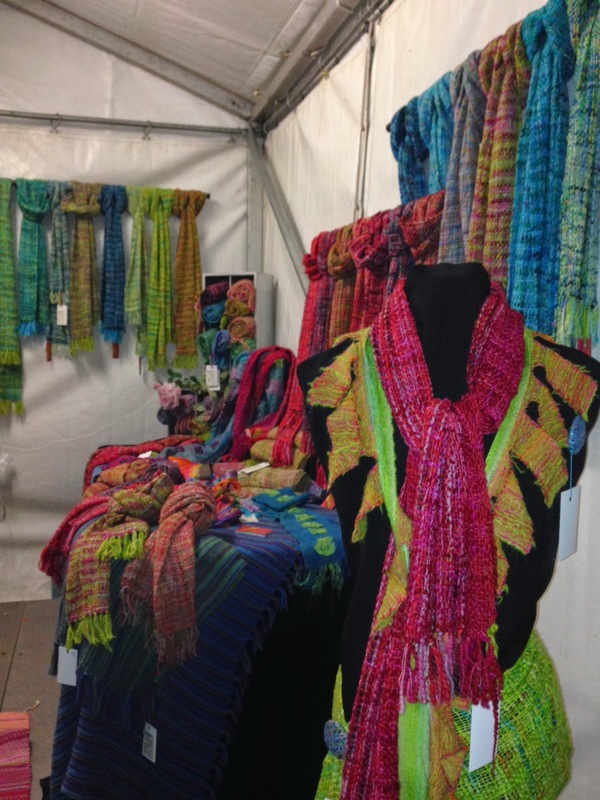 Her shop is stall number 16. If you are visiting go say hi. I am having a clean out. I don't embroider any more so I have some threads for sale. Please contact me if you are interested in any "bunches" of threads. I can arrange delivery/pickup (in the ACT) or post. All prices DO NOT include postage, I will en-devour to have threads delivered to your post/delivery free where possible. All threads where purchased prior 1996. Please pass this information on to any one you think may be interested. I will continue to add more threads as I get a chance to photograph them and add to the blog. Blue warp with many different wefts. It's extremely satisfying to fix mechanical issues - more power! Hehe anyway, earlier today I heard the dreadful *snap, klunk and slack* of the breaking of a cable. To recap, I have an AVL but this how to should help others too. Step 1 : Don't panic! Step 3 : measure the length of the broken wire (take off about 1cm for the stretch and break) from swage to swage. Then measure the loopy bit (I cut my eyelet out but cutting the wire on one side) and add both to the first measurement. Step 4 : cut the wire. Step 5 : thread the new wire through one side of the swage. Loop through anything it needs to be attached to. Down through the other side of the swage. I thought I had decent arm strength but putting it on the floor with your foot on it is much easier. Also my crimping tool is narrow so I needed to crimp twice. And the other end (a better job than the first!). Step 7 : placing back on the loom. Around the wheely thing in the box. Needs a bit of a gentle ease in. The other end goes down the appropriate looking hole. Join back onto the turn buckle. Important! Adjust the turnbuckle to make sure the peddle height is correct. Step 8 : happy weaving ensues!